If you are into a business and the use of forklift trucks is common in your business operations, then you cannot take the risk of allowing someone to drive the truck who hasn’t received the proper training for it. Safety is one of the major concerns while using a fork truck, thus, you need to ensure that you get your staff trained properly for driving the truck or you hire a trained professional only. Many people have this assumption that if they can drive a car, then they can also drive a forklift truck. This can be really risky at times, not only the person who drives can be at risk, but the people nearby will also be at risk. Most of the accidents that happen can affect the people around other than the driver. This is why business owners in St Albans have started considering trained professional for driving the fork truck. As a business owner, you need to look for the staff that can offer you safe services. 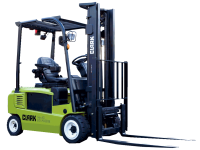 There are many training centers that provide fork truck training in St Albans. You can choose a professional expert that will be able to train your staff in an efficient manner. The cost of the training is nothing as compared to the safety of all your staff members. However, you can consider the services and cost that are provided by different training providers.